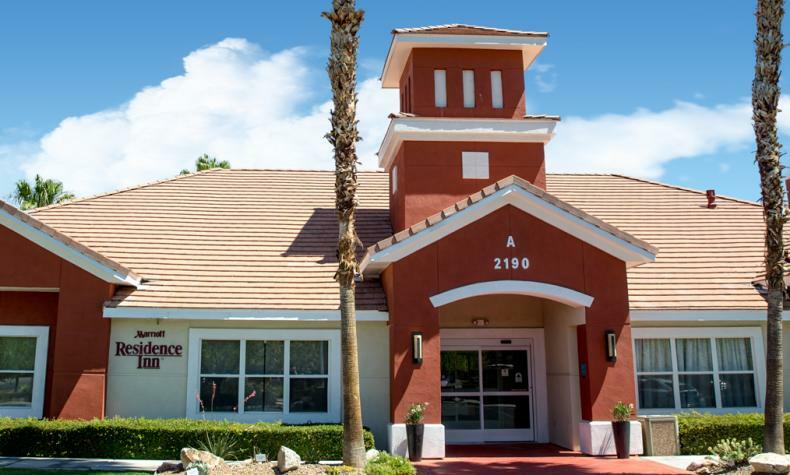 Near McCarran International Airport and all the excitement of the world-famous Las Vegas Strip, this Residence Inn by Marriott has all you need. Whether on business or pleasure, enjoy spacious suites with fully equipped kitchens a workspace, Wi-Fi and voice mail. There’s also a complimentary breakfast buffet and evening socials with complimentary beverages. Plus, 24-hour fitness room, outdoor heated pool and whirlpool, and Sport Court. Restaurants and several golf courses are nearby.